Tharroe de luxe hotel is an earthly paradise right at Mykonos heart. It is one of the top hotels and has accommodated many of the celebrities that visit the island from time to time. 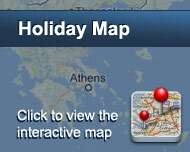 Located on a hill, it offers fantastic view to the Aegean Sea. The hotel is totally renovated and consisted of 24 luxurious rooms and Suites. It is built according to the traditional myconean style, but there are minimal decorative details and antiques all around the hotel that give it a very stylish picture. All rooms are equipped with air-condition / heating, satellite TV, direct telephone, safe deposit box, movie channels, bath amenities, hairdryer, mini bar and pool towels. Iron and ironing board upon request. Two rooms accessible for people with special needs. A pool with breathtaking view to Mykonos Town is available to all guests. The hotel has a restaurant with unique recipes from the local and the international cuisine, a business center and a spa. Special packages for newly weds. Είστε ιδιοκτήτης ή διευθυντής στο THARROE OF MYKONOS; Εγγραφείτε τώρα για δωρεάν εργαλεία, που μπορείτε να χρησιμοποιήσετε για να βελτιώσετε την καταχώρησή σας και να συνδέσετε την ιστοσελίδα σας και το σύστημα κρατήσεών σας.